SHARK considers the Cheyenne Frontier Days Rodeo, or CFD, to be the most cruel and deadly rodeo in the world, and we have more than a decade’s worst of video to back this claim up. For nearly two weeks every year, horses, steers and calves are brutalized, and sometimes injured, and sometimes killed, all for the sake of entertainment. There are a few reasons why the CFD rodeo has survived so long in spite of its repulsive history. Like all rodeos, it relies on unethical corporate sponsors such as Coca-Cola, Wrangler, and Bank of the West. 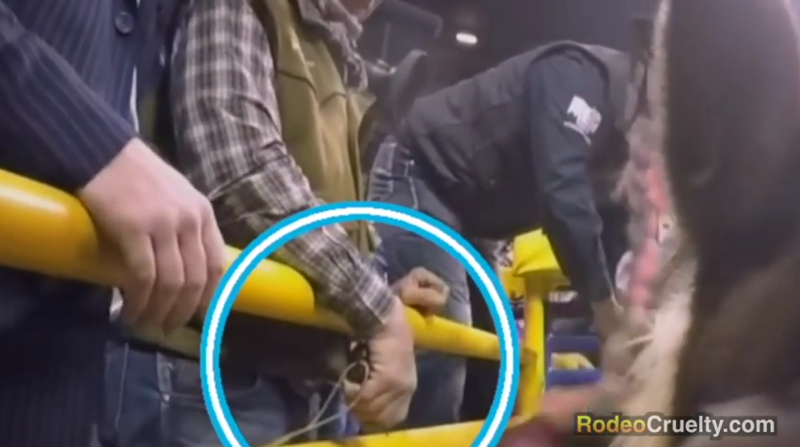 CFD rodeo supporters also includes media outlets that should be reporting on the obvious and indefensible abuse, but instead choose to take on the role of rodeo patron. It is clear and unquestionable that the CFD rodeo is a contentious and newsworthy event, and that it should be reported on fairly and accurately. However, instead of scrutinizing the CFD rodeo, The Denver Post has chosen to partner with it, and thereby ignore the horrendous amount of cruelty committed there. In 2017, for example, a concerned rodeo attendee sent SHARK a video of a horse that was horribly injured. 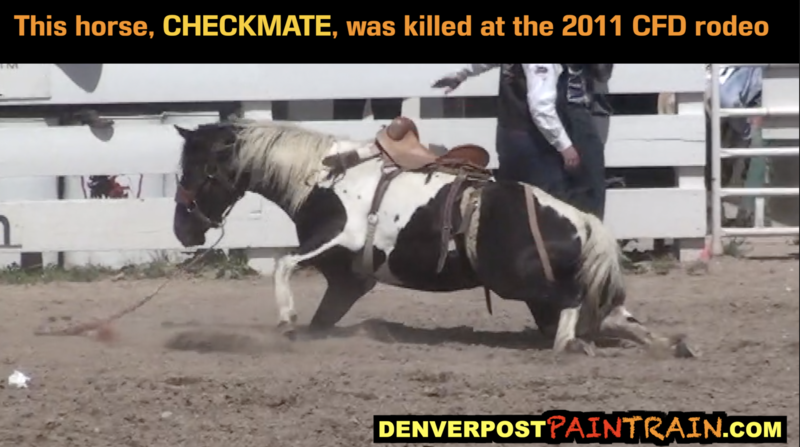 The Denver Post didn't report this incident, in spite of the brazen cruelty, but instead published a series of “fluff” pictures meant to promote the rodeo. Ignoring the violence committed at the rodeo and instead choosing to promote the rodeo was a violation of journalistic integrity. A screenshot from our new video. 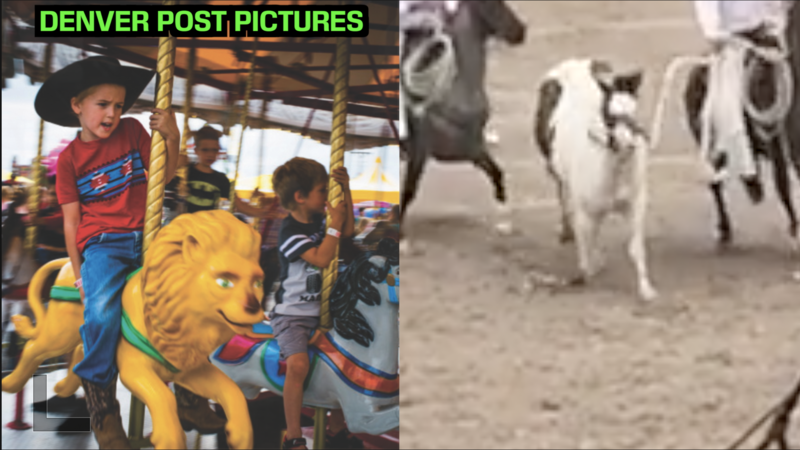 A comparison of pictures from the Denver Post along side video of a horse horribly injured in the same year. Please politely and respectfully contact The Denver Post and ask that they sever all ties between themselves and the Cheyenne Frontier Days Rodeo. Remind them that first and foremost they are supposed to be an objective reporter of the news, and not a public relations firm for the extraordinarily cruel Cheyenne Frontier Days Rodeo. 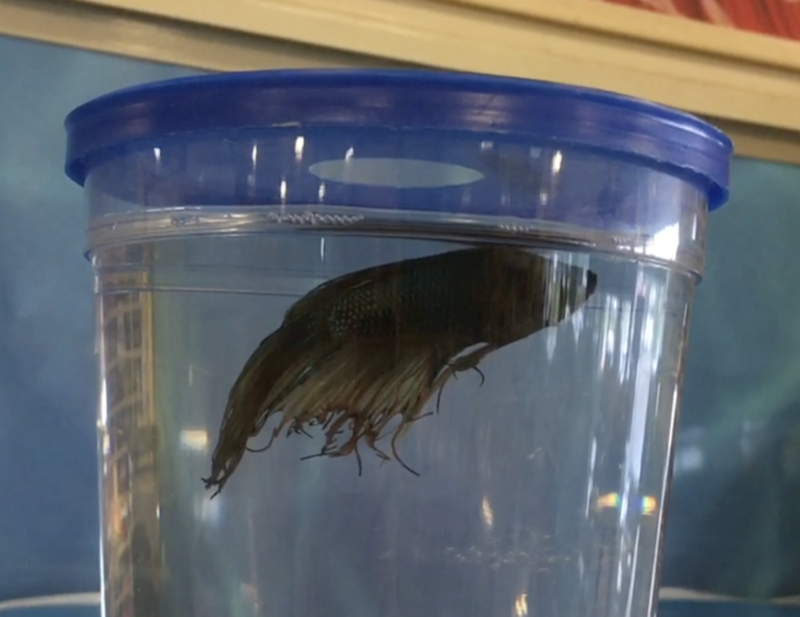 SHARK, joining with Maryland based Fish Feel, is taking on the cruel Betta fish industry. Bettas are kept in horrendous conditions in tiny containers, and sometimes die as they wait on store shelves. Due to the inherent cruelty of the betta fish industry, there is no way to reform it. Therefore the only answer is for the businesses we are focusing on, Petco, PetSmart, and Walmart, to stop selling them, and for people to stop buying them. We are including contact information for all three of these companies. Please politely write to them and ask them to stop participating in this cruelty and stop selling these animals. Les Moonves is the head of CBS. SHARK has reached out to Moonves many times regarding CBS' airing of the cruel National Finals Rodeo. Moonves has refused to respond. Now it has been revealed that he has been accused of sexual misconduct. It says something that those who promote and protect animal abuse are themselves accused of abuse as well.